Free Family Summer Concerts in the Park at Baker Ranch Beginning June 19! Are you looking for something fun to do with the family this summer? Well head over to Baker Ranch for their Summer Concerts in the Park beginning on June 19! It’s going to be something that the whole family can enjoy, which is something you absolutely won’t want to miss. These family-friendly concerts are totally free and open to the public and the perfect place to spend warm summer nights surrounded by friends, neighbors, and the beautiful Baker Ranch community. Guests at the concerts are encouraged to bring a picnic dinner but no need to worry about drinks and desserts as those will be provided! If you’re looking for a truly relaxing concert experience, this is it. Feel free to bring blankets and chairs to lay out on the lawn and feel free to invite your friends and neighbors and make a full evening out of it. If you haven’t visited Baker Ranch yet, is a the stunning master planned community in Lake Forest that showcases some of the area’s most gorgeous new homes, crafted by respected builders like Shea Homes and Toll Brothers. 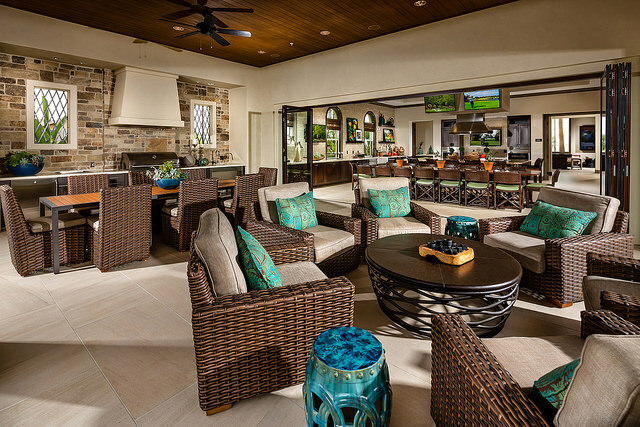 There’s nothing quite like the resort-style living found at Baker Ranch in all of Orange County! For more information about the Baker Ranch Summer Concerts in the Park, go to their Facebook page HERE. 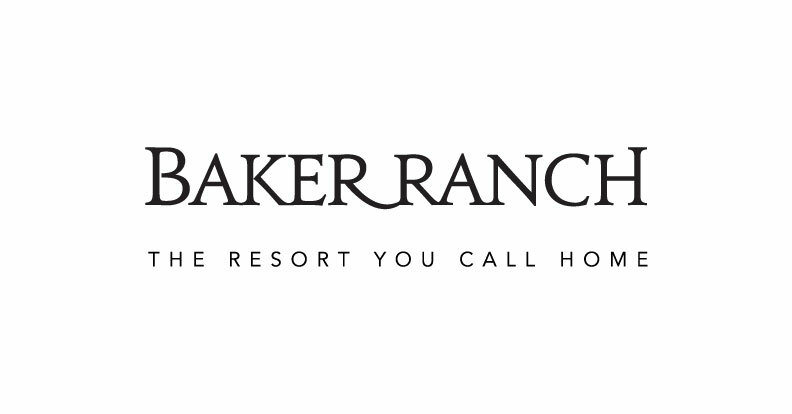 You can also connect with Baker Ranch on Twitter and Instagram! The Bunny Has Arrived at OC Simon Malls! Caring Bunny™ and Simon Kidgits Club Easter Events Are Coming, Too! Spring has sprung! It’s my favorite time! 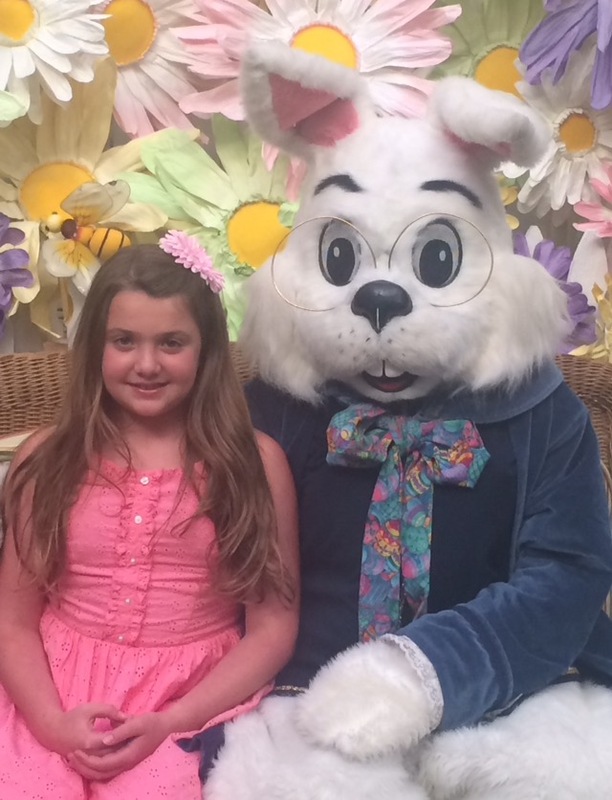 One of the things that my daughtger and I enjoy doing together each spring is to go shopping for a special, new dress and then to visit the Bunny at The Shops at Mission Viejo for an annual photo! I love looking back at the photos from years past! The Bunny Photo Experience begins this year at Brea Mall and The Shops at Mission Viejo on March 7 and on March 14 at the Westminster Mall. It runs through April 4 at all 3 Orange County Simon Mall locations. The Bunny Photo Experience gives children the chance to visit with the Bunny and take home a treasured snapshot of the fun occasion. The presenting sponsor for 2015 is Gymboree. Brea Mall: Begins Saturday, March 7, from 10 a.m. to 7 p.m. and runs through Saturday, April 4, from 10 a.m. to 7 p.m. on the lower level near the JCPenney win. For a full list of dates and times, click here. Westminster Mall: Begins Saturday, March 14 at 10 a.m. and runs through Saturday, April 4 at 7 p.m. in Macy’s Court. For the full list of dates and times, click here. The Shops at Mission Viejo: Begins March 7 and runs through April 4 on the lower level near Nordstrom. Hours are Monday through Thursday from 11 a.m. to 8 p.m., Saturday 10 a.m. to 7 p.m. and Sunday 11 a.m. to 6 p.m. For the full list of dates and times, click here. 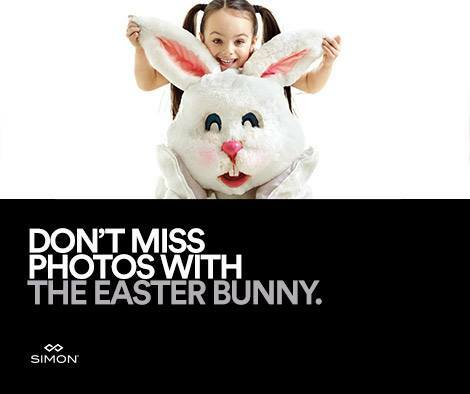 In addition to regular mall hours for Bunny photos, Simon’s Caring Bunny™ event will offer families that have children with special needs a subdued environment to participate in the Bunny Photo Experience. Caring Bunny has been developed by Simon and is guided by AbilityPath.org, a national online resource hub and special needs community. Over 90 Simon properties will host the Caring Bunny this season. Promotional assistance for Caring Bunny has been provided by Autism Speaks. The Caring Bunny program will be offered at Westminster Mall on Sunday, March 22 from 8:30 a.m. to 10:30 a.m. at the Bunny Photo Experience. Many steps will be taken to reduce sensory triggers, creating a more comforting environment for the children’s cherished visit with the Bunny. Reservations are required and can be made here for the Westminster Mall Caring Bunny event. 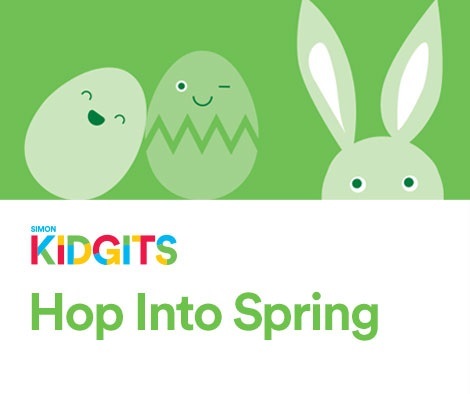 The Simon Kidgits Club® will also host special events, where kids can participate in various Easter activities and games. Participants will receive a special Easter keepsake to take home. The Simon Kidgits Club is a fun and informative program that focuses on health, wellness, education, safety and entertainment for children agees 3-8. The Simon Kidgits Club has kept children and parents alike amused for over a decade with various events and activities while providing incentives for club members, such as special offers, rewards, and games. For more information about the Simon Kidgits Club, visit http://www.simon.com/kidgits/. *some images provided by Simon. You Are Invited to The Eat, Explore, Tour Event at Baker Ranch in Lake Forest on February 21! 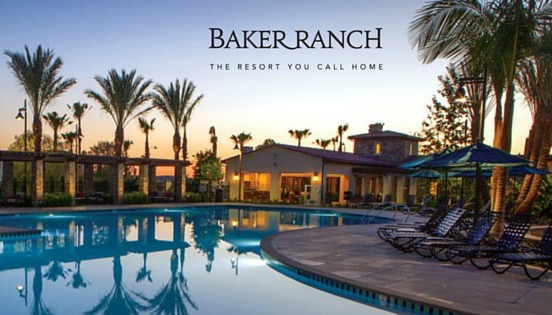 Baker Ranch is a community of brand new homes in Lake Forest that epitomizes family-friendly, resort-style living in Southern California. 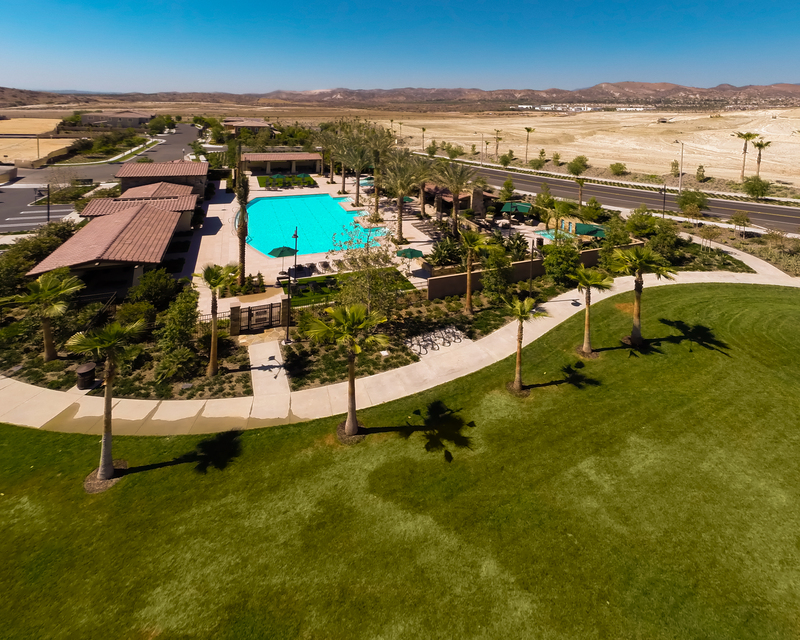 From the start, Baker Ranch has been designed for active people who love outdoor recreation and scenic natural settings. 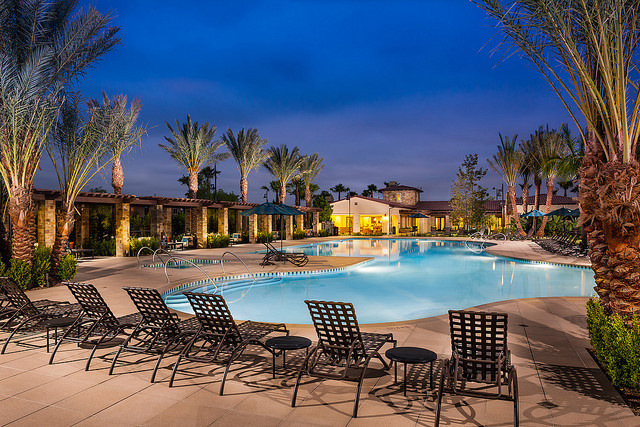 Here you can enjoy all the amenities of an exceptional master planned community without the excessive taxation of Mello-Roos. 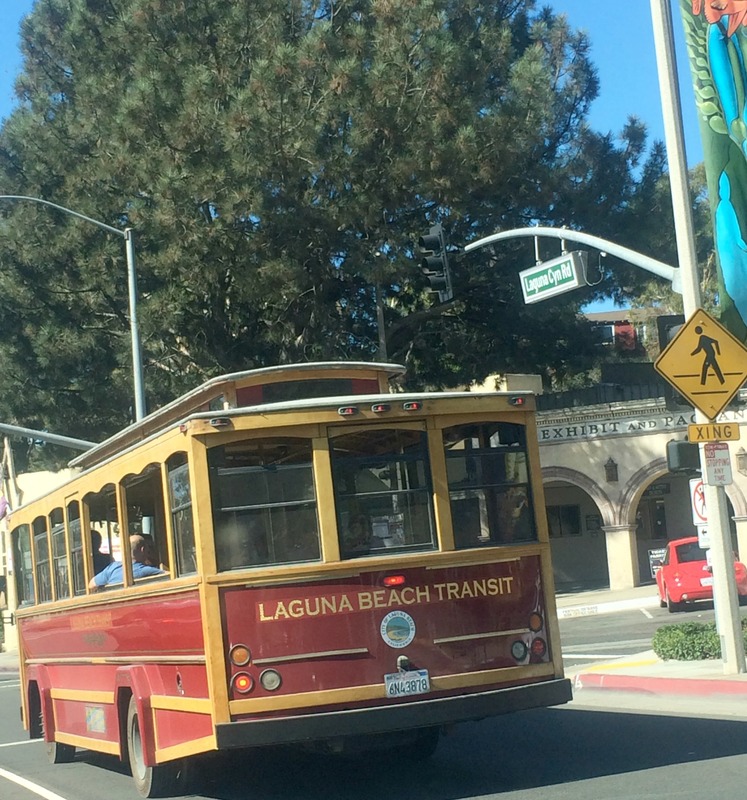 Lake Forest provides small-town charm with California Distinguished schools and modern services. 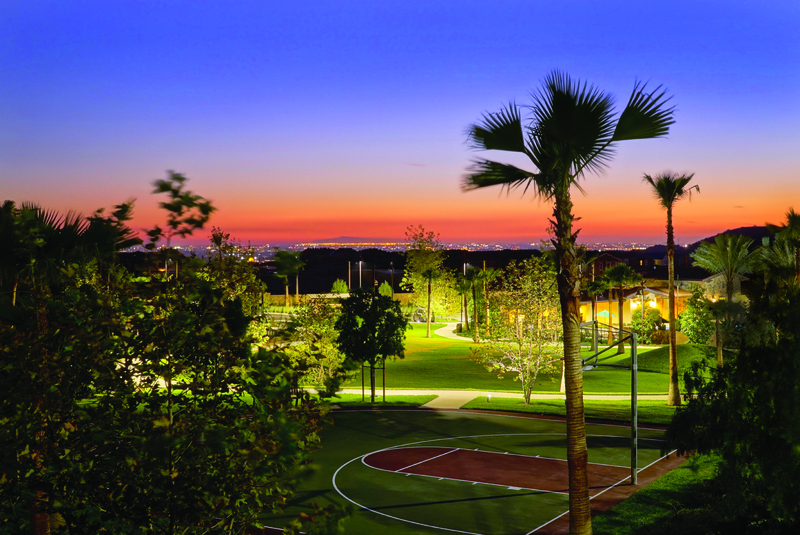 It’s all within easy reach of the major employment centers, shopping, entertainment and attractions that make sunny Central Orange County the perfect backyard. On Saturday, February 21, Baker Ranch will be hosting a fun event, “Eat Tour Explore”, from 11 a.m.-4 p.m.! It’s a massive unveiling event featuring GREAT perks from Baker Ranch. They will be unveiling plans for all of their future parks, and will include a virtual tour of “Promenade Park”, a new community park that will not only be a great place for families with kids to play, but also provide residents with a safe means to travel from one end of the community to the other, out of the way of traffic. Guests will have the opportunity to tour this beautiful new community. But that’s not the best part of this event….. 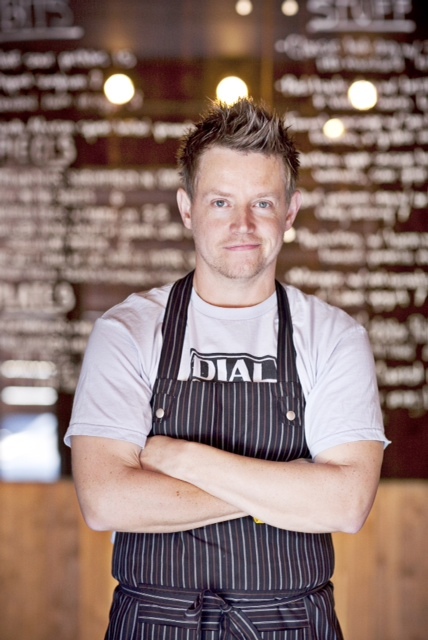 Renowned chef Richard Blais of Bravo TV’s “Top Chef” will be making a special appearance at the unveiling and will be doing a cooking demonstration, featuring one of his creative and delicious recipes. 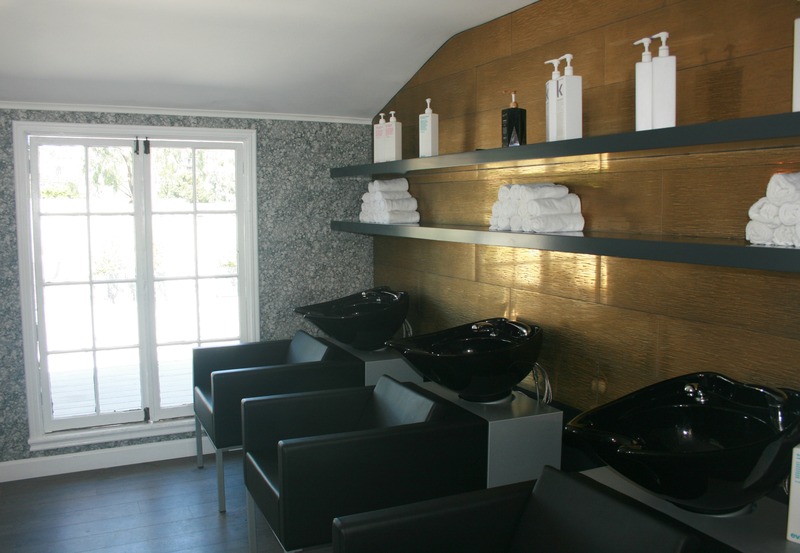 Spa Gregorie’s will also be at the event, giving free massages to guests after they tour the model homes. Not only is this a great opportunity for you to get the inside scoop on some of the amazing things that Lake Forest has in store, it’s also your chance for an up close and personal look at some delicious dishes prepared by a prominent chef. 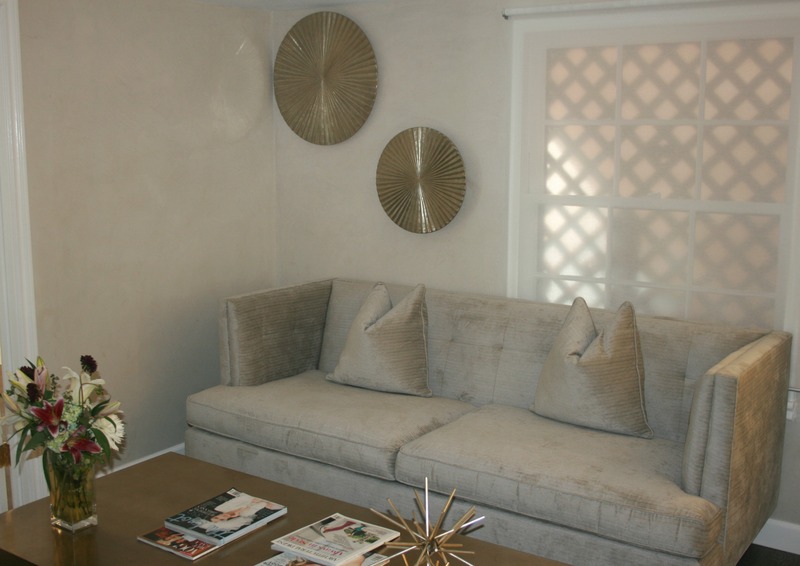 In addition, you’ll have the chance to get some design inspiration from our gorgeous award-winning model homes. For more information on this fun event, visit the Baker Ranch Facebook page! I’m also giving away a signed copy of Chef Blais’s cookbook Try This at Home: Recipes from My Head to Your Plate! How fun is that? Just enter below on the Rafflecopter! Connect with Baker Ranch on Twitter & Instagram too! 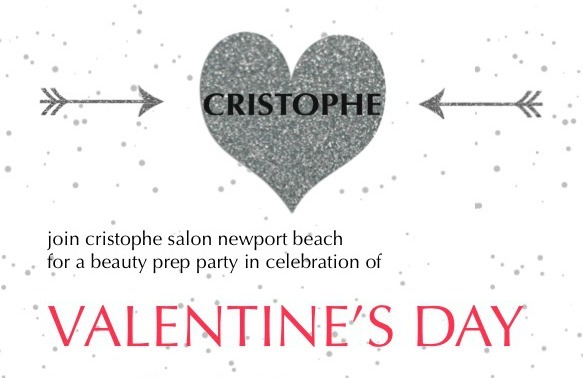 Cristophe Salon Newport Beach, Orange County’s top beauty destination known for its five-star customer service, is partnering with Dr. Rami K. Batniji, a Newport Beach facial plastic surgeon, Kendra Scott Jewelry and Blushington Makeup and Beauty Lounge in Fashion Island to host a Valentine’s Day Prep Party. 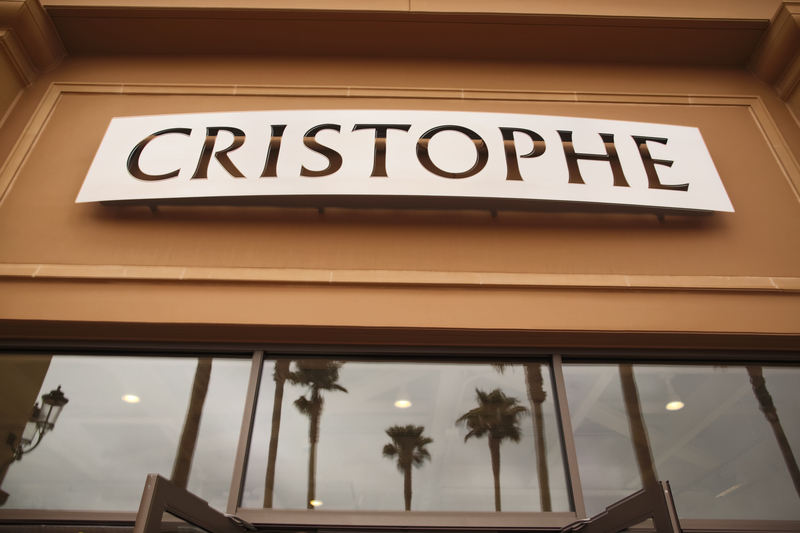 On Saturday, Feb. 14, 2015, guests are invited to Cristophe Salon Newport Beach at Fashion Island® from 9 a.m. to 7 p.m. to enjoy indulgent treatments, such as hair, nail, makeup and waxing services, before a romantic date night or a girls’ night out. With music spinning throughout the day, guests will be offered complimentary champagne to sip on throughout their experience. The first 100 guests to schedule an appointment or book a service on Valentine’s Day will receive a complimentary gift card for a pre-selected Kendra Scott jewelry item, to be redeemed at the jeweler’s Fashion Island boutique. 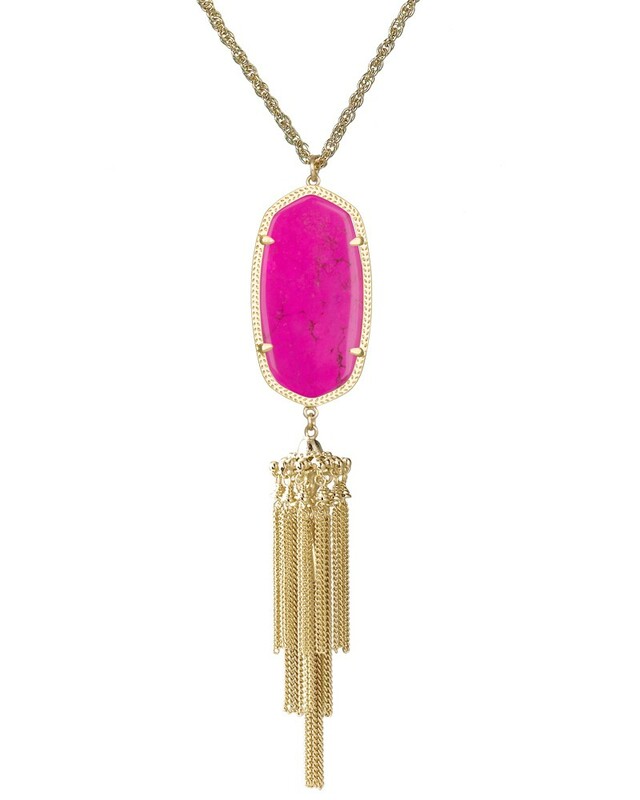 Kendra Scott Jewelry will also be for sale on Valentine’s Day between 11:30 a.m. and 1:30 p.m. at Cristophe Salon Newport Beach. Five percent of all sales from the evening’s purchased services will directly benefit Yachts for Tots, a 501(c)3 nonprofit organization dedicated to introducing underprivileged children to the beauty of the ocean. In the two weeks leading up to the special event, pre-booked Valentine’s Day Prep Party guests may receive specially priced BOTOX® and skincare services with premiere Orange County facial plastic surgeon, Dr. Batniji at his Newport Beach office. Appointments are required to guarantee services, as space is limited. Please call (949) 219-0920 for all appointment bookings. 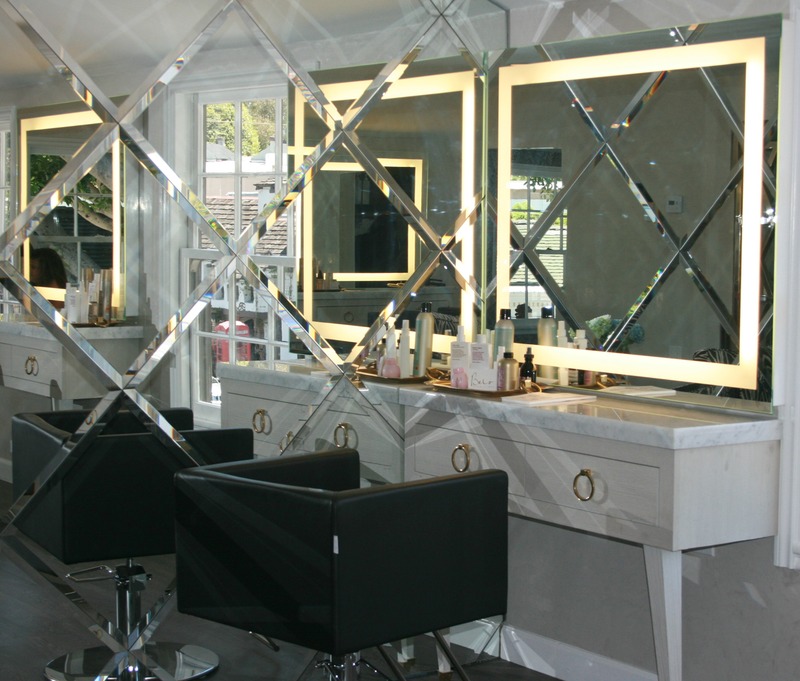 For more information about Cristophe Salon Newport Beach and its exceptional team of colorists and stylists, service offerings, or to book an appointment please visit http://www.CristopheNB.com or call (949) 219-0920. In addition, in the two weeks leading up to the special event, pre-booked Valentine’s Day Prep Party guests may receive specially priced BOTOX® and skincare services with premiere Orange County facial plastic surgeon, Dr. Batniji, at his Newport Beach office. 5% of all proceeds from the event will be donated to Yachts for Tots, a 501(c)3 organization dedicated to introducing underprivileged children to the majesty of the ocean. I’m also having a giveaway for one of my lucky readers. If you win, you’ll have a choice of one of the following beautiful jewelry pieces: a Kendra Scott Rayne Necklace, a pair of Danielle Earrings, or a pair of Elle Earrings. Just enter down below on the Rafflecopter. Good luck! 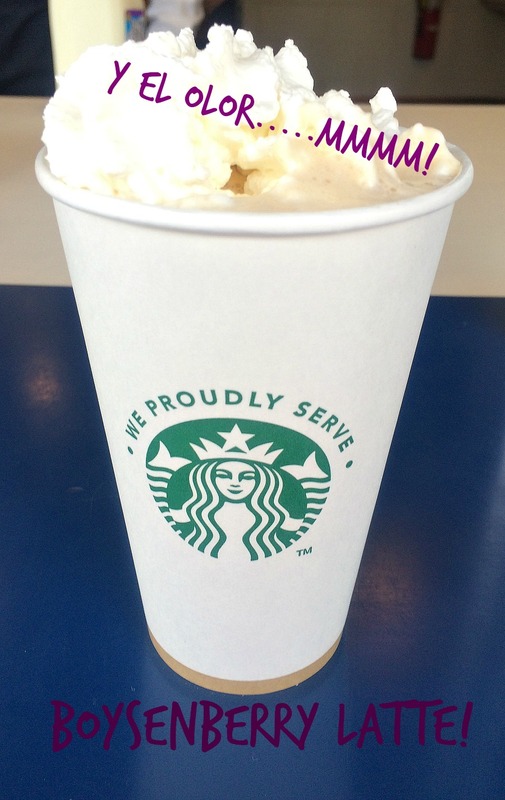 Knott’s Berry Farm Serves Starbucks! Did I Mention the Boysenberry Lattes? 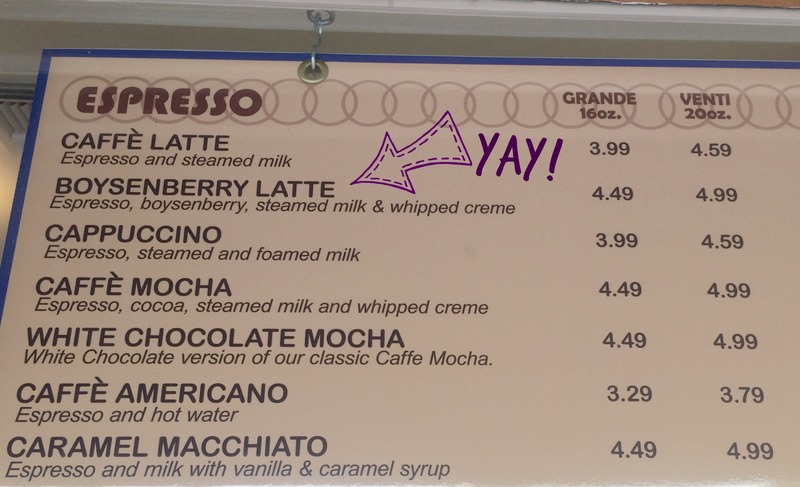 The other day when I was at Knott’s, I overheard a woman asking her friend if she’d tried a Boysenberry Latte yet? I couldn’t help but stick my nose into the conversation at that point, because anything boysenberry is pretty much my kryptonite! Yep, I have a few weak spots and one of them is definitely boysenberry. 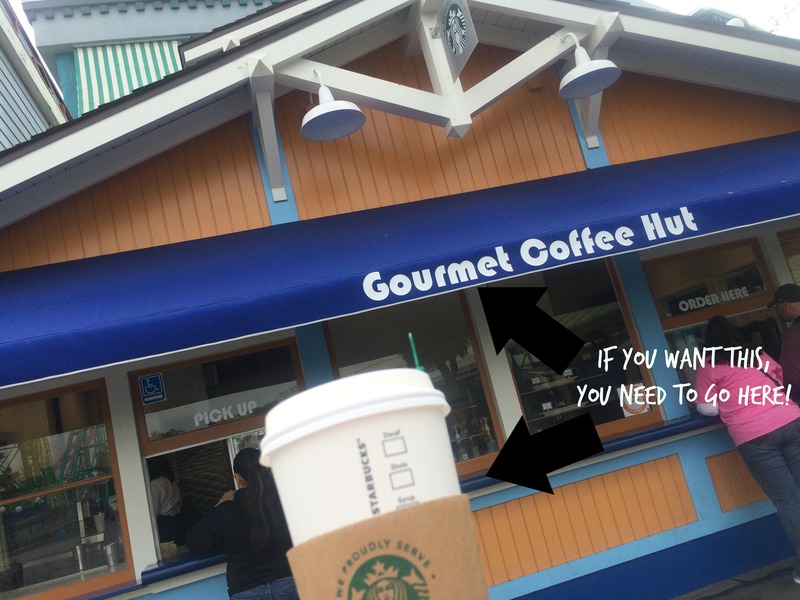 The woman pointed me in the direction of the Boardwalk area and told me to look for the Gourmet Coffee Hut! I made my way over there in quite a hurry. It was drizzling on and off so this was the perfect day for something hot. When I looked up at the menu board I then realized they were serving Starbucks! It was like a dream! This wasn’t just brewed Starbucks, there were actual lattes and cappuccinos and mochas on the menu! Oh and it smelled SOOOOO good! As I walked away from the window with my boysenberry latte in hand, I turned and just gazed back at the Gourmet Coffee Hut as I took my first sip! It was heavenly! I walked along the Boardwalk, slowly sipping on my boysenberry latte. 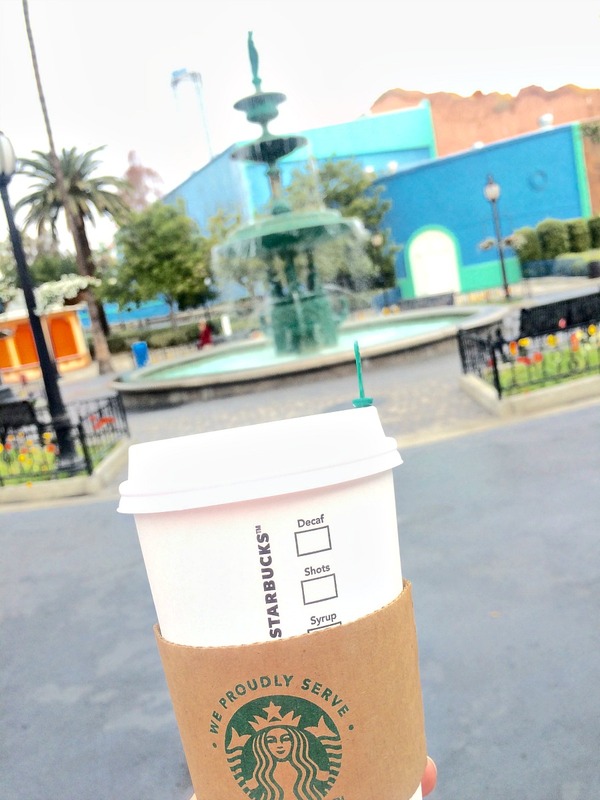 I can’t tell you how many other park guests stopped me to ask where I’d found Starbucks in the park! I felt like it was necessary to let each and every one of those guests know about it being a BOYSENBERRY latte and watched their eyes lit up as big as mine had, when I found out those even existed! 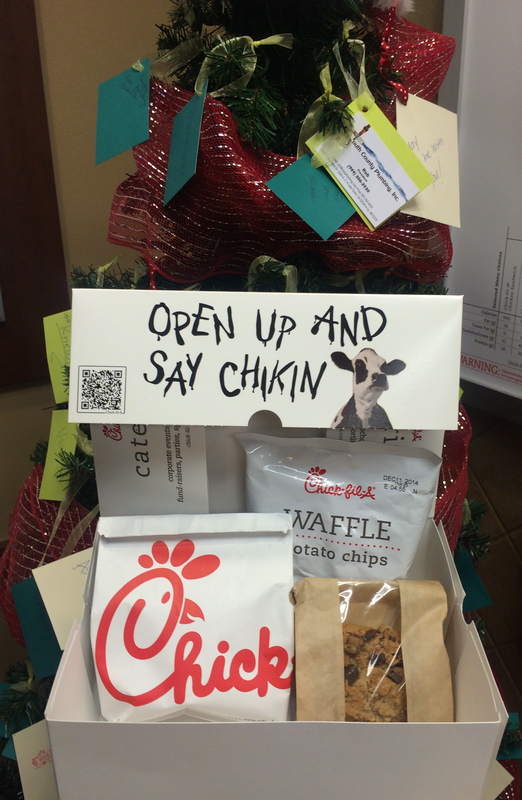 This holiday season, Foothill Ranch Chick-Fil-A is collaborating with Saddleback Church and OC Rescue Mission to support Orange County families in need, by bringing them meals. From now until New Year’s Day, Chick-Fil-A Foothill Ranch will be taking donations at their store, which will go directly to providing hand-delivered. They are hoping to feed 1000 families this season! 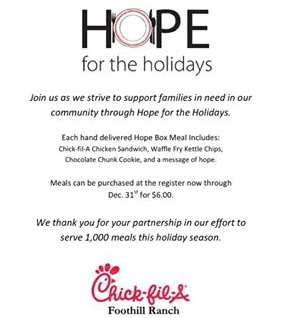 Each customer donation of $6.00 will go to purchase a Hope Box Meal which includes a Chick-Fil-A Sandwich, Waffly Fry Kettle Chips, a Chocolate Chunk Cookie, and a message of hope, which is a handwritten note by the donor (note can also be written anonymously) and attached to the box for delivery. 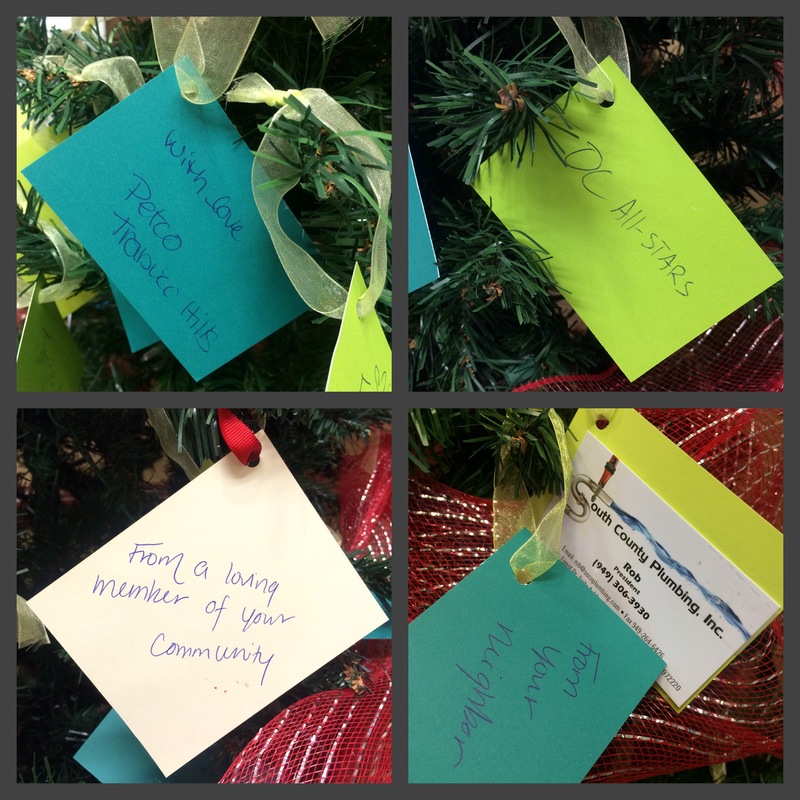 It was touching to see local community members AND local businesses support the “Hope for the Holidays” program this year and read their “messages of hope” on the Christmas tree in the store! 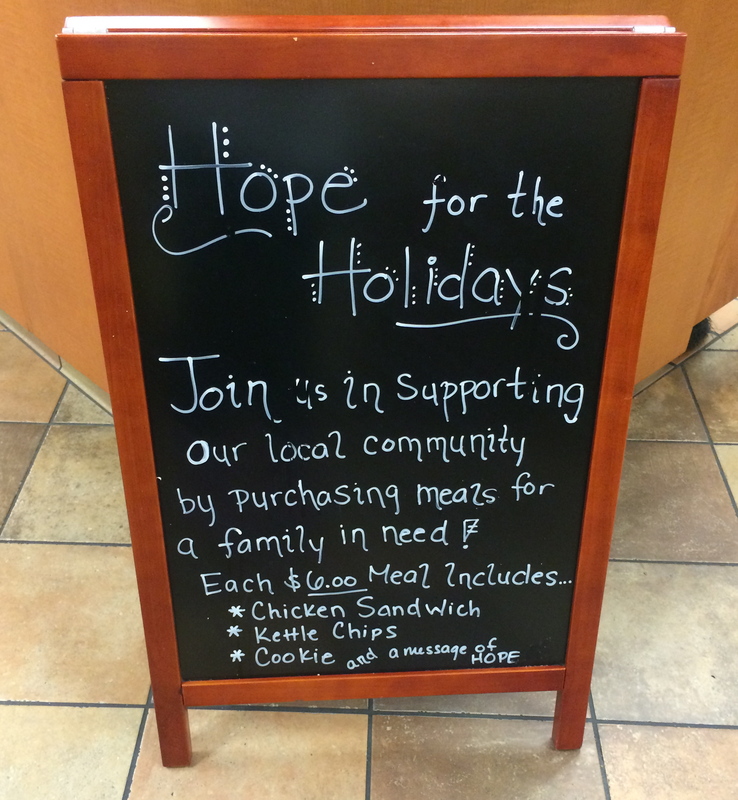 Please consider stopping by Chick-Fil-A Foothill Ranch and making a donation too! It’s amazing what your $6 can do for someone in need. Connect with Chick-Fil-A Foothill Ranch on Facebook! Get Ready to Create Holiday Family Memories at The Shops at Mission Viejo With Santa Photo Experience and Much More! 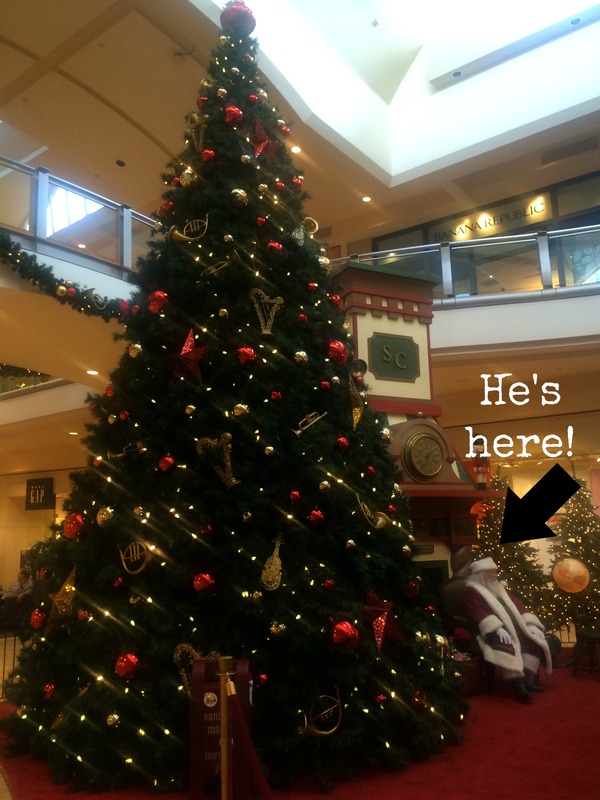 It’s that time again….the decorations are up, holiday music is playing and Santa has arrived at The Shops at Mission Viejo! Eager children and their families can experience the joy and magic of the holiday season with a visit to the Simon® Santa Photo Experience, where Santa awaits them in his winter wonderland. Located on the lower level near Nordstrom, children can visit and be photographed with Santa every day until December 24, when he has to head back to The North Pole. This year, you can save time and avoid the line with Santa by making an appointment! 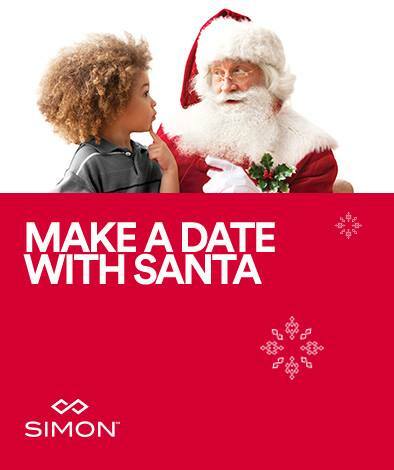 Reserve your magical moment with Santa online at http://simon.noerrsanta.com. For a complete list of Santa’s dates and times, click here. The Simon Santa Photo Experience is, once again, sponsored by Gymboree. The Shops at Mission Viejo also provides children with special needs and their families with an opportunity to enjoy a carefully managed Santa photo experience through the Caring Santa program, which provides a sensory-friendly environment for families of children with special needs, to safely experience the time-honored tradition and magic of Santa. Caring Santa will be held at The Shops at Mission Viejo this year on Sunday, Dec. 7 from 8:30 a.m. to 11 a.m. Space is limited (1 reservation ticket per family); please visit theshopsatmissionviejocaringsanta.eventbrite.com to make your reservation. 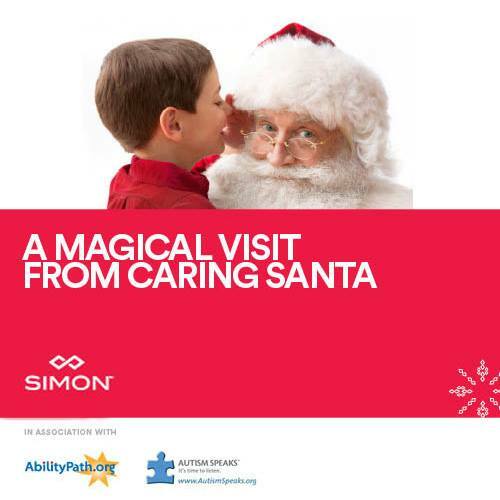 Caring Santa events have expanded from 7 Simon malls in 2011 to over 100 Simon malls today, reflecting the positive impact of this unique program. In 2013, Simon and The Noerr Programs were honored by Community Gatepath, earning a Community Impact Award for their efforts in pioneering Caring Santa.Caring Santa program. 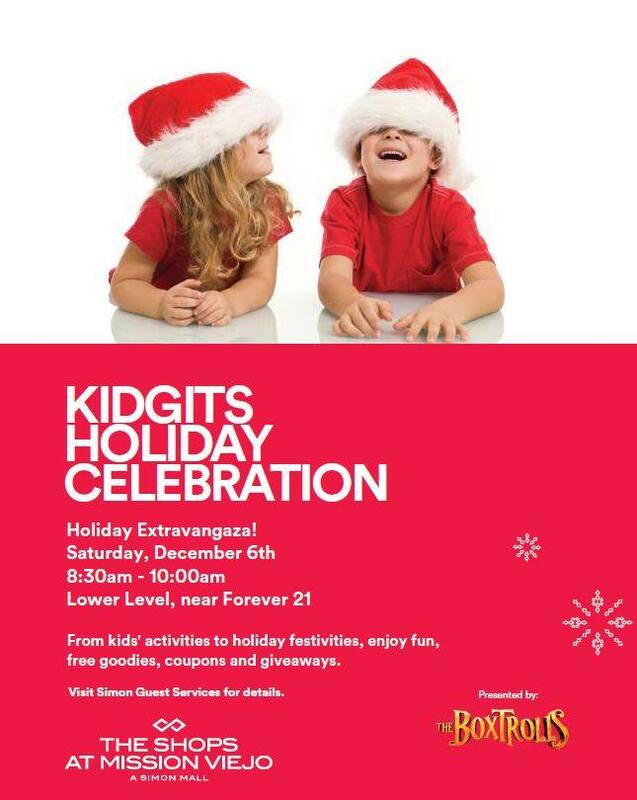 The Kidgits Holiday Celebration will take place on Saturday, December 6 from 8:30 a.m. to 10 a.m. on the lower level, near Forever 21. Kids can get festive with various crafts and activities including making their own ornament, writing a letter to Santa and decorating a gift box to celebrate The Boxtrolls, available this Holiday Season. The Kidgits event on December 6 will be followed with a celebration of the grand re-opening of the center’s updated Dining Pavilion. Beginning at 11 a.m., head to the pavilion for live entertainment, face painting, a balloon artist for the kids, and more. Don’t miss giveaways every hour, and swag bags while they last. Special offers will be available from food pavilion eateries, which include Blaze Pizza, Charley’s Grilled Subs, Great Khan’s, Muscle Beach Lemonade & Hot Dogs, Panda Express, Paradise Bakery & Café, Rubios Baja Grill, Ruby Thai, Sarku Japan and Smashburger. Although this is just a rendering of the updated Dining Pavillion area, I think I see myself eating at a table! 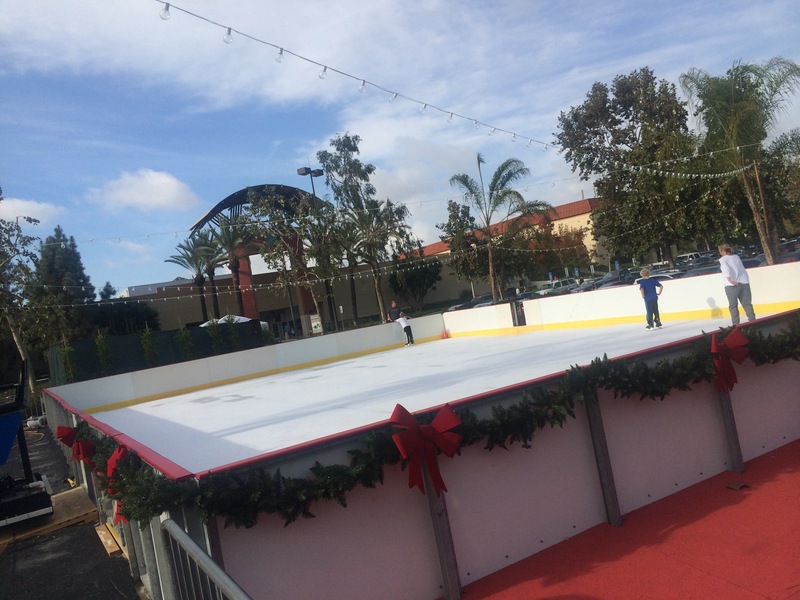 New to the holiday event lineup this year is Holidays on Ice Mission Viejo, the first-ever seasonal ice rink at The Shops at Mission Viejo. From November to January 11, skate under festive lighting, and celebrate the season with music and family fun. The 50-foot by 70-foot outdoor ice rink will accommodate approximately 120 skaters, and is located in the exterior parking lot, near Farrell’s Ice Cream Parlour. The rink will be open from 10 a.m. to 10 p.m. daily. 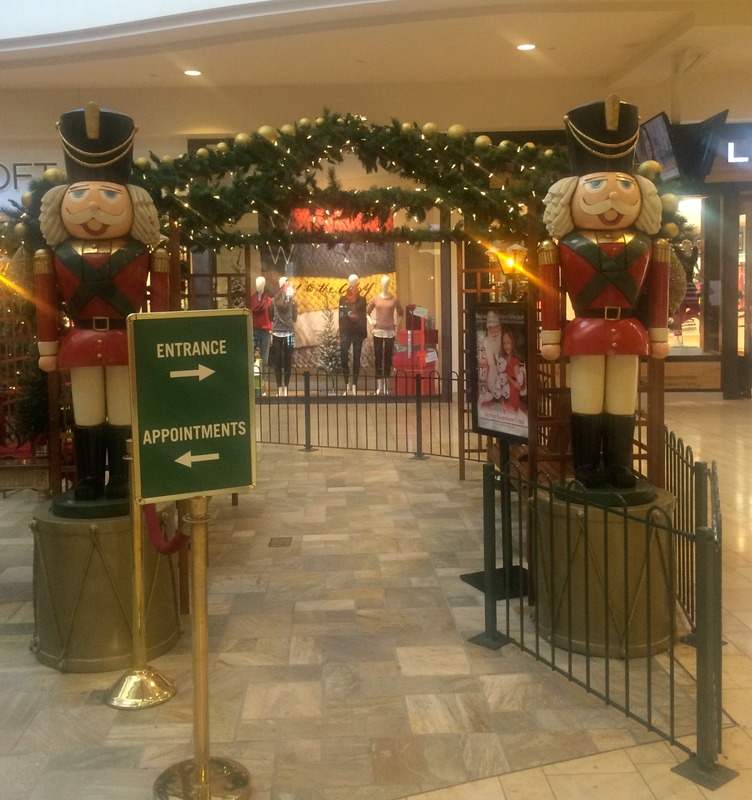 The Shops at Mission Viejo will offer several additional amenities during the holiday season. Additional valet will be available. A giftwrap station will be available in December, and located near Zara. Proceeds from the giftwrap station will benefit the Girl Scouts of Orange County and the Simon Youth Foundation. 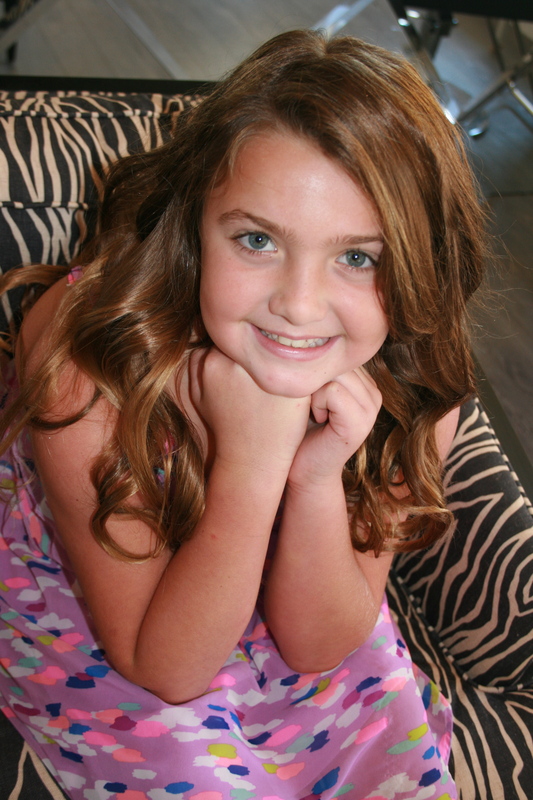 There are so many fun things happening at The Shops at Mission Viejo! Happy Holidays! 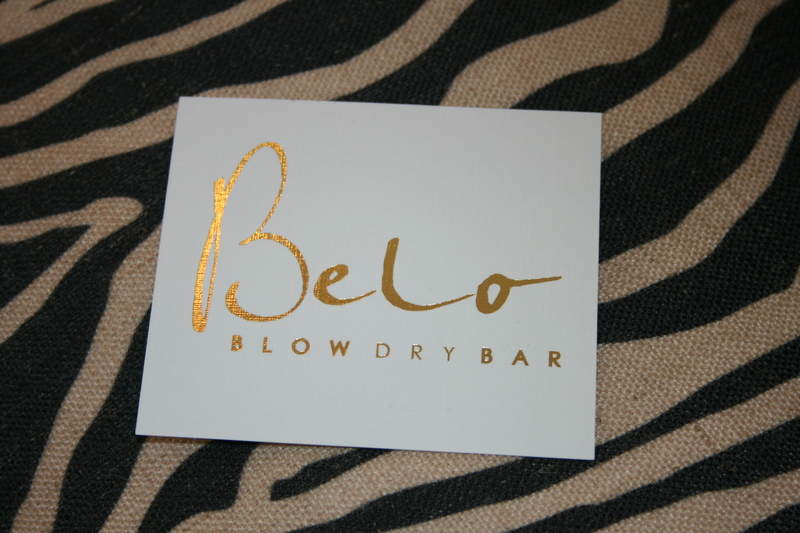 Belo Blow Dry Bar in Laguna Beach! Do Something For Yourself! I don’t know about you, but for me, there are just times when I NEED someone else to do my hair for a special occasion or an event I’m attending. There’s just something a stylist does that I’m just not capable of doing with my hair. 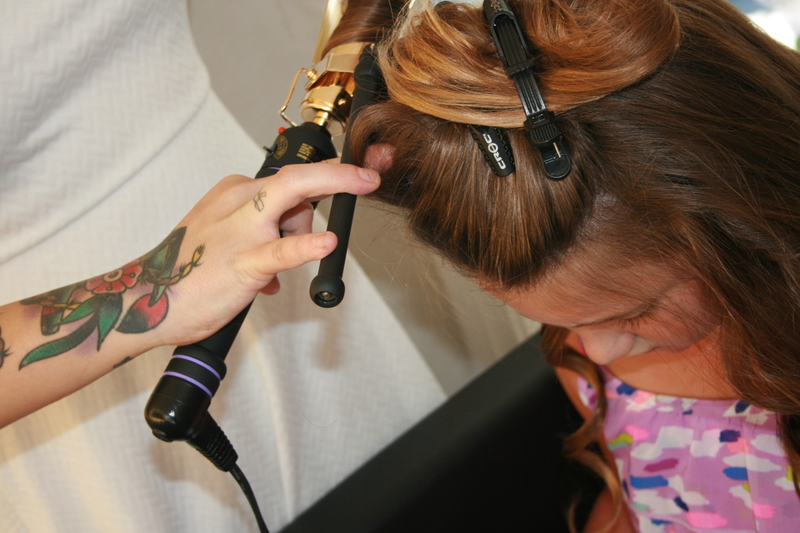 A few of my closest friends had recently visited a blow out bar together as a group to have their hair done before a wedding they were all in and it sounded like so much fun. 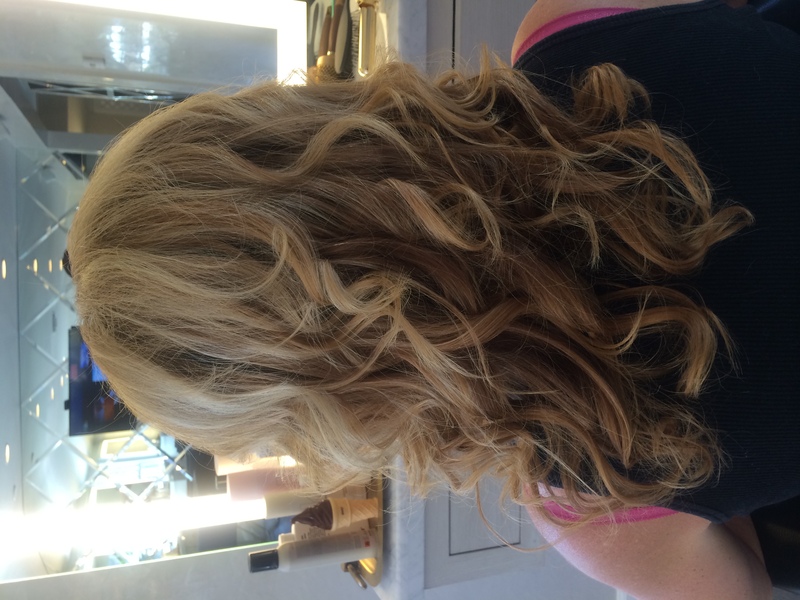 A blow dry bar differs from a visit to your regular stylist in a way that allows you to achieve that “finished” look without the long term commitment you have with your own personal hair stylist. Let’s face it, we all know that cheating on your hairdresser is a BIG offense and this actually doesn’t count, so you don’t have to worry! 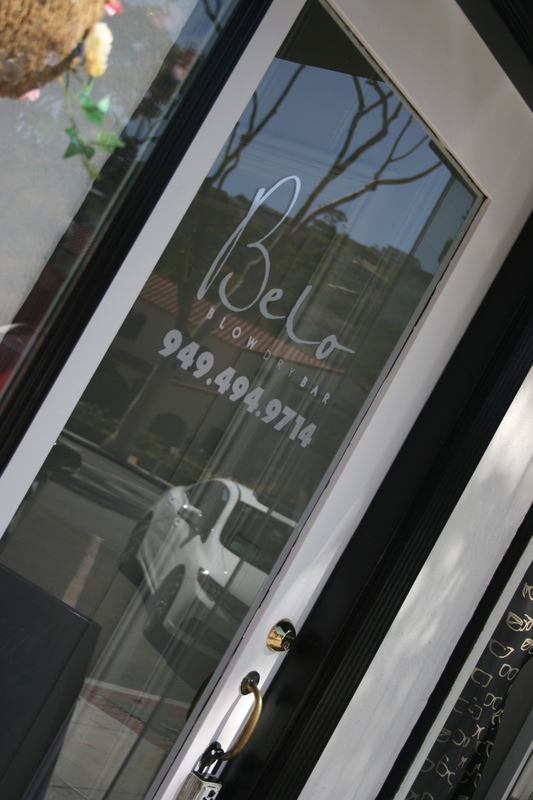 You can spot Belo Blow Dry Bar from its logo’d front door and the adorable sidewalk chalkboard that sits out in front of the door. Just inside the front door is a staircase that takes you to the second floor. The decor inside is so beautiful and the staff is very welcoming. Emi loved being able to order off of the “hairstyle menu”. It features 8 of the most popular current hairstyles, with a sketch and description of each one. 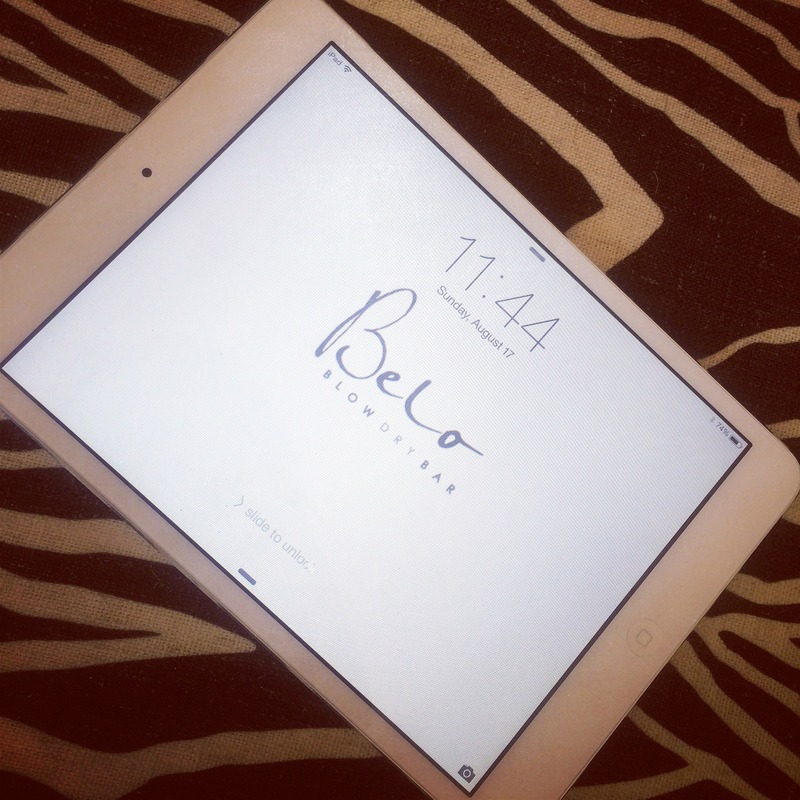 If you don’t find one of those that you’d like, Belo also has iPads available for their clients to use, to search for hairstyles on Pinterest! 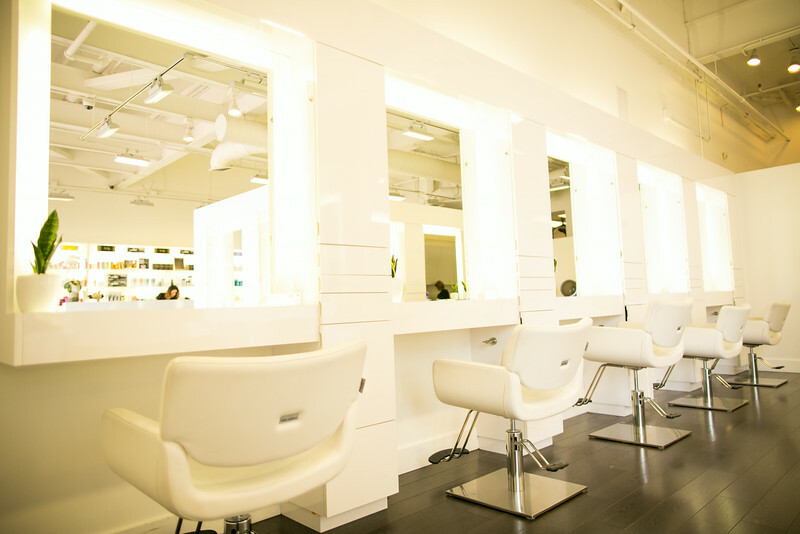 The Belo stylists will work with you to create whatever hairstyle you envision. I was seriously in love with the back of my hair when she showed it to me in the mirror! 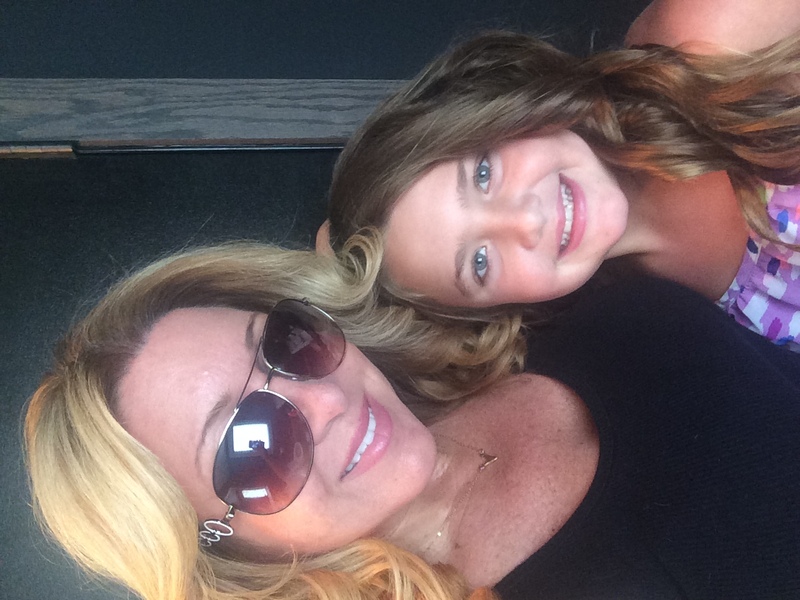 We had such a fun morning at Belo Blow Dry Bar and were so happy with how both of our hairstyles turned out. I highly recommend calling to book an appointment of your own. 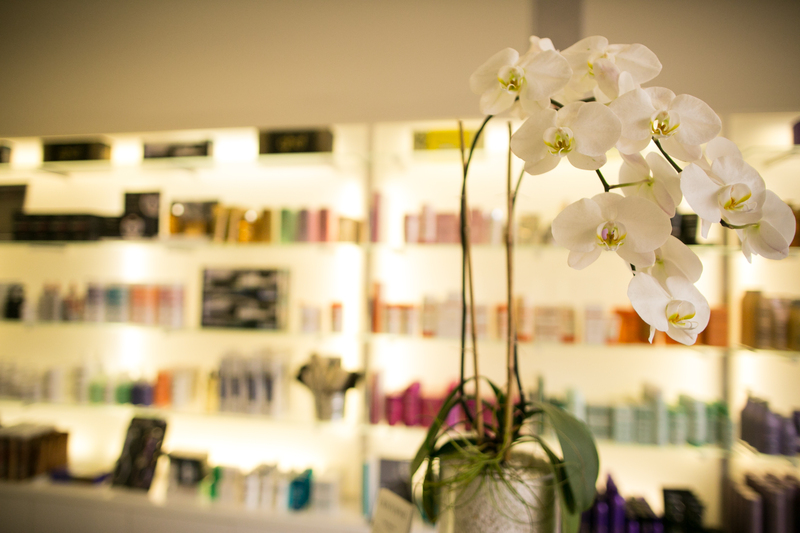 Whether you have someplace special to be or just want to do something nice for yourself, you deserve to be pampered every now and then. Call 949.4949714 to make an appointment today. You can also connect with them on Facebook, Instagram, and Pinterest. Blue C Sushi in Newport Beach! Get There! 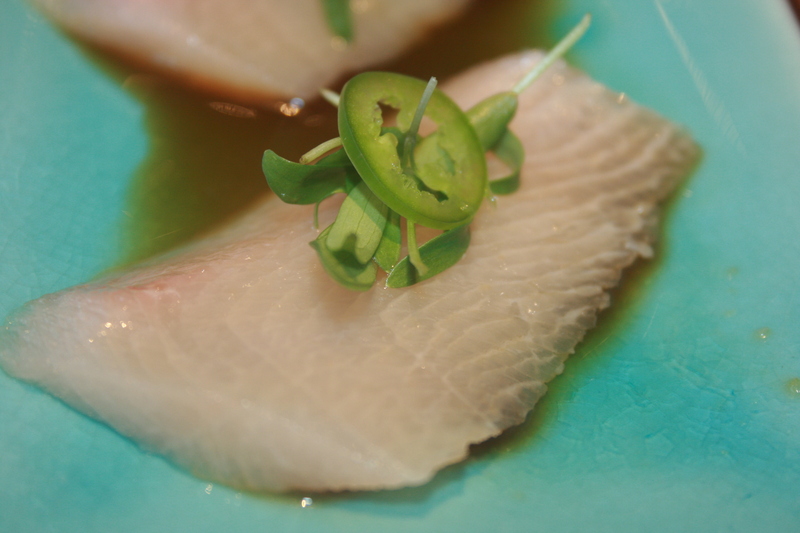 When my friend Melodi from Eat Drink OC called and invited me out for a night of fun at the newest location of Blue C Sushi in Newport Beach, I was quick to accept the invite! I LOVE sushi and I’d heard from a couple of other friends that I needed to check out Blue C. They offer kaiten sushi which translates as “go around sushi”. There’s a conveyor belt set up within reach of guests so they can then grab food to eatndirectly off of it at any time. The decor of this place is so fun. The atmosphere is even more fun! When we walked in, I immediately spotted the magnetic wall. I KNEW it was somewhere I’d need to return with my daughter so she could draw pictures to put them on the magnetic wall. I’m guessing she’ll also probably end up playing with the wall magnets. 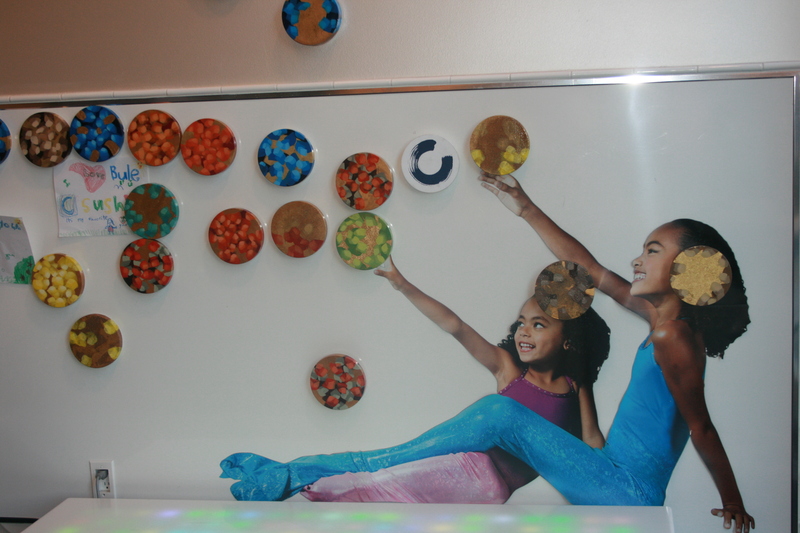 How fun do these giant magnets look ? You can’t help but become almost instantly mesmerized by the conveyor belt and the colors of the plates! Each one has a description of what’s on the plate and its ingredients. There are even some plates with gluten-free and vegan options. The plates are color coded to tell you how each one is priced, which makes it very simple. There’s also an extensive menu of drinks, appetizers, and other items, such as hand-rolled sushi made to order and some of the chef’s favorites. If you’re curious about the freshness of the items on the conveyor belt, Blue C Sushi actually uses an electronic sensor system on the revolving plates to monitor how long they’ve been rotating. They take pride in serving the freshest sushi, so you’ll never be served sushi that’s been on there longer than 45 minutes. The chefs’ area in the center of the restaurant allows for the sushi chefs to monitor every table and interact with guests. If you’d like them to walk you through the chef’s offerings and specialty items, you can press the blue button. They’ll also address any of your ordering needs at that time. We had the best time chatting with “Joe” that night. 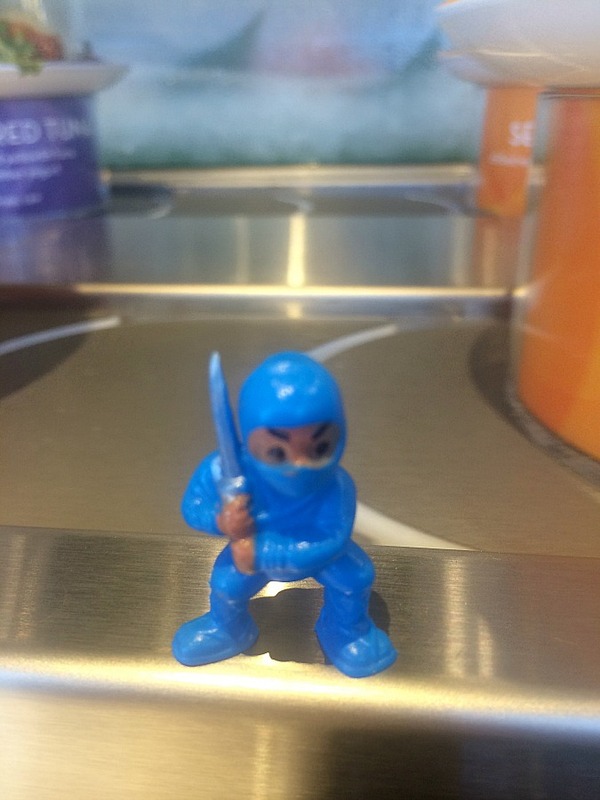 He’s one of Blue C’s main sushi chefs and I loved that he greeted each of us with a little gift, our own personal blue ninja. Joe likes to keep these ninjas on hand for the younger visitors, but on this particular occasion we were the exception to the rule. He might be tiny but my ninja means business! When we sat down at our table, I was immediately mesmerized by the conveyor belt and all of the food going by on it. Not only is there sushi on the conveyor belt, but I also spotted some fresh fruit, edamame and other appetizers, and even desserts pass by us! Desserts passing me by on the conveyor belt! Come back, cupcake! Our server, Matt, was so much fun! I think you HAVE TO BE fun to work at Blue C! He got each of us started with a cocktail. 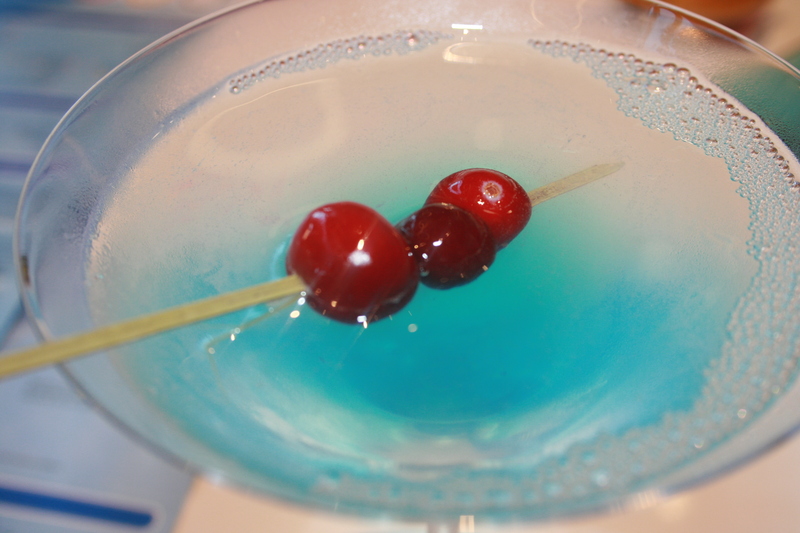 Mine was a beautiful blue one in a martini glass! Before I knew it, the eating began! 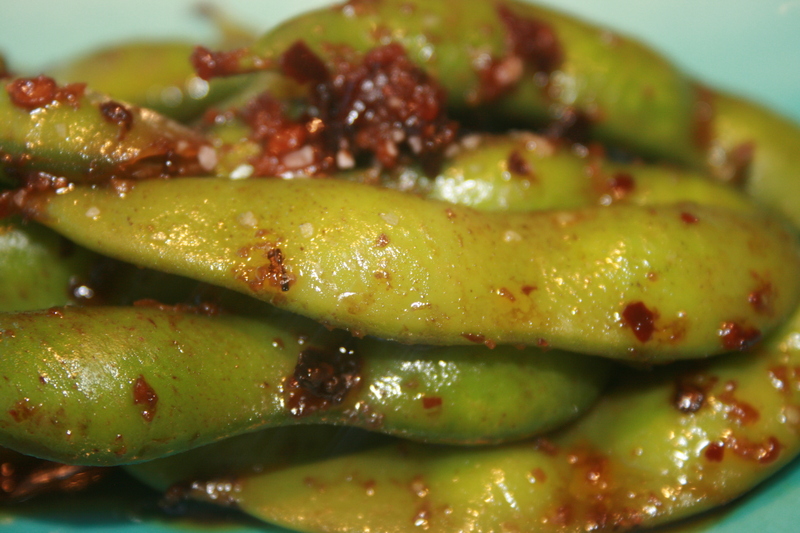 All I know is we started with some Spicy Edamame and the rest was history! We were so lucky to be able to try quite a few of Joe’s own personal creations. He took so much time to describe each one that he’d made for us and even whipped up a few of his own personal favorites. The sushi was so fresh and I felt like I couldn’t stop myself from gorging! I’m pretty sure I ate my weight in fish! Joe came out and actually sat with us at our table for a little while. We chatted with him about his background in the food industry and he gave us a deeper insight into the history of Blue C Sushi. Not only is he great at what he does, he also seems very passionate about it. I think that’s really important. 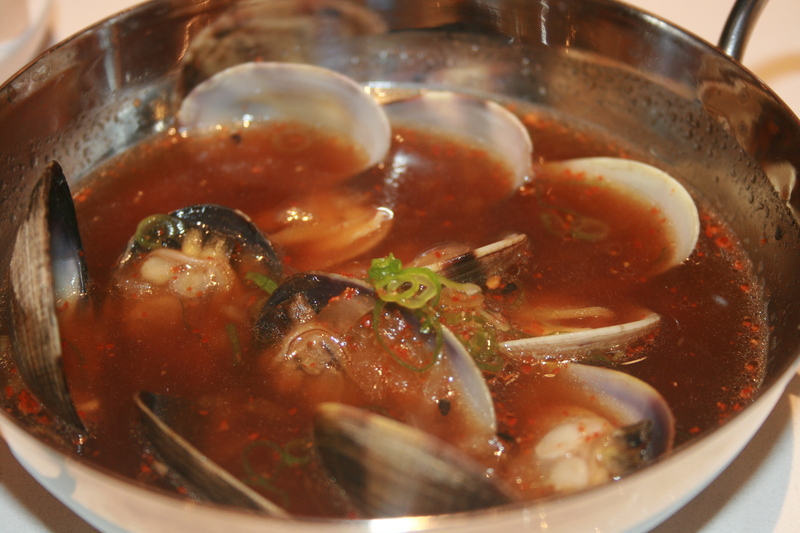 These clams were so delicious! Chef Joe made them especially for us! As if we weren’t already stuffed, Joe insisted we also have dessert! Good thing I have a “dessert compartment” from when I was younger that always allows me to have room for it! Dessert arrived at our table, an incredible tempura brownie with ice cream and some shaved! Whoa! 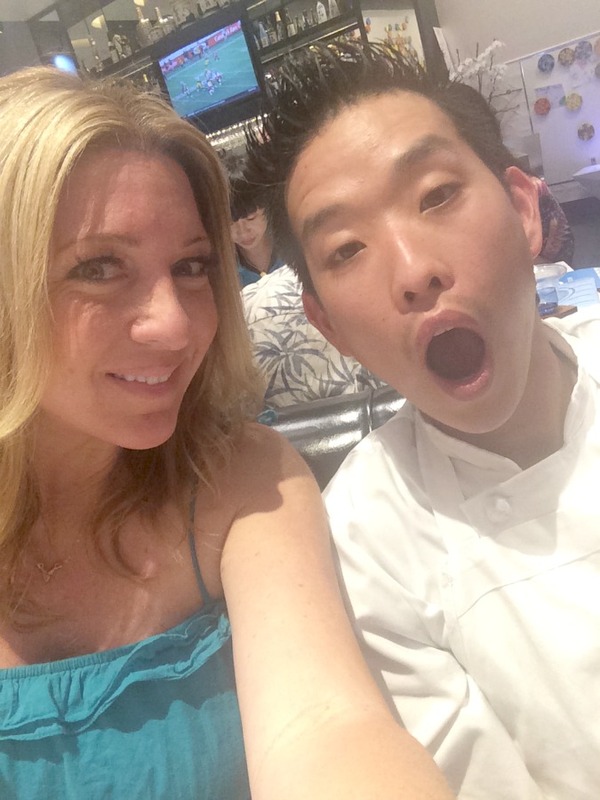 We were ready to eat it but first I stopped to take a selfie with Chef Joe! 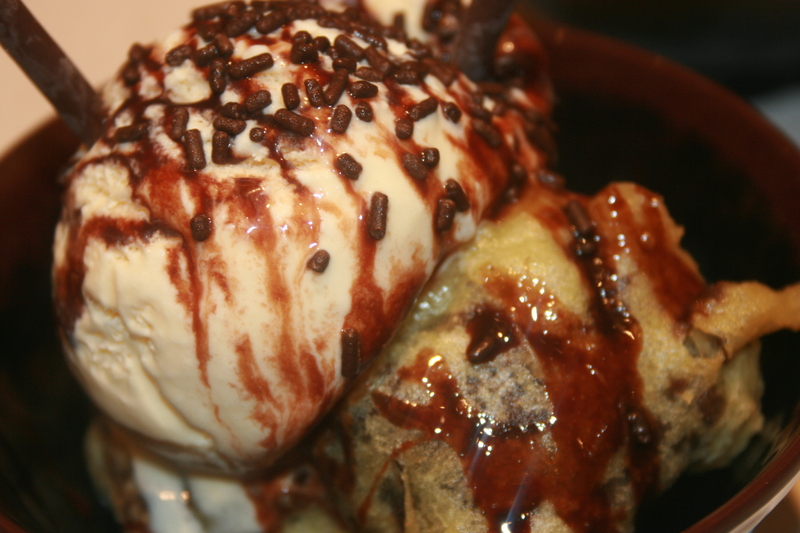 This tempura brownie was to die for! Seriously, you NEED to try one when you go there! 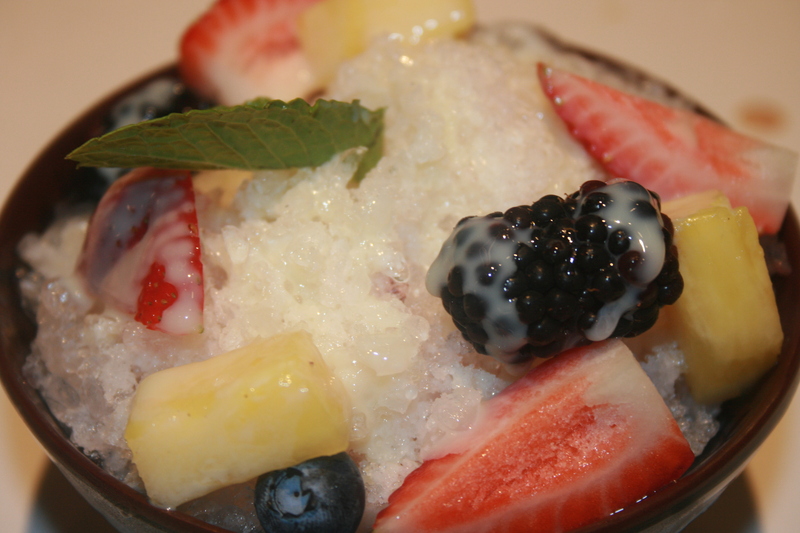 The shaved ice was served with fresh fruit and topped with coconut milk! It was really yummy! 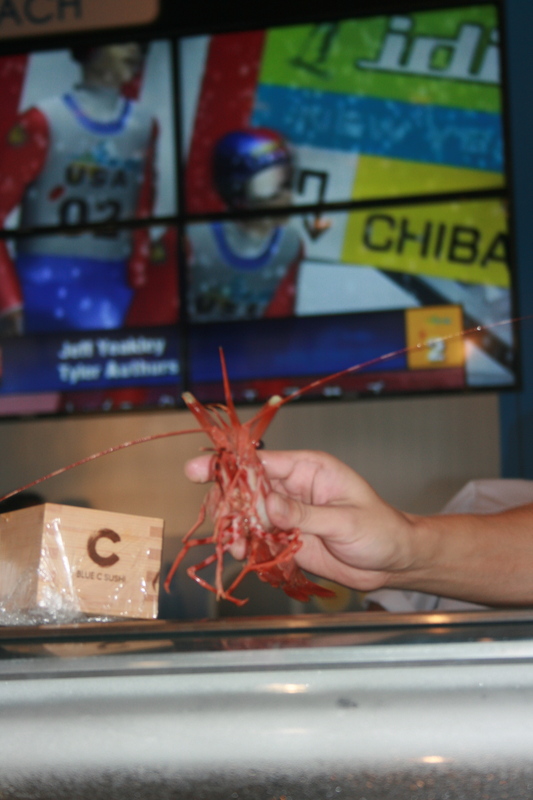 We had such a great experience at Blue C Sushi! It was a lot of fun to really get to know the staff working that night and it felt like we had our own personal chef. I would highly recommend it to anyone, especially families with kids. If you end up going soon, could you please call and invite me though? I’m totally ready to go back! 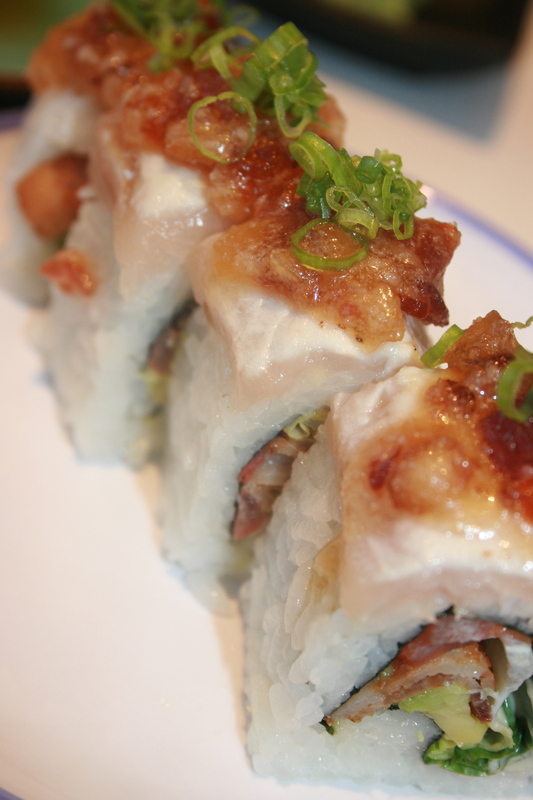 To locate a Blue C Sushi near you, click here! 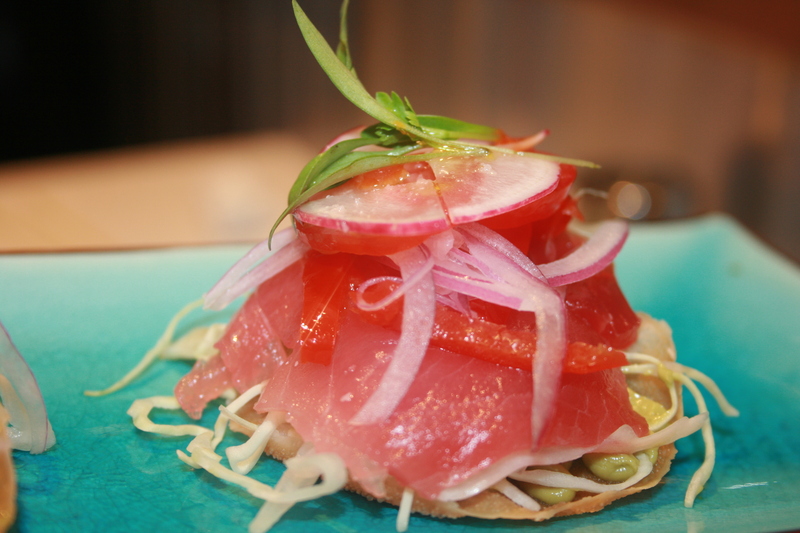 Connect with Blue C Sushi on Facebook, Twitter, and Instagram.